Being the second darkest site in India, Astroport Sariska provides the best opportunity to observe planets, stars and other celestial objects in the night sky. Along with a thrilling view of the sky, this flagship tourist resort offers striking biota and an unexploited environment. 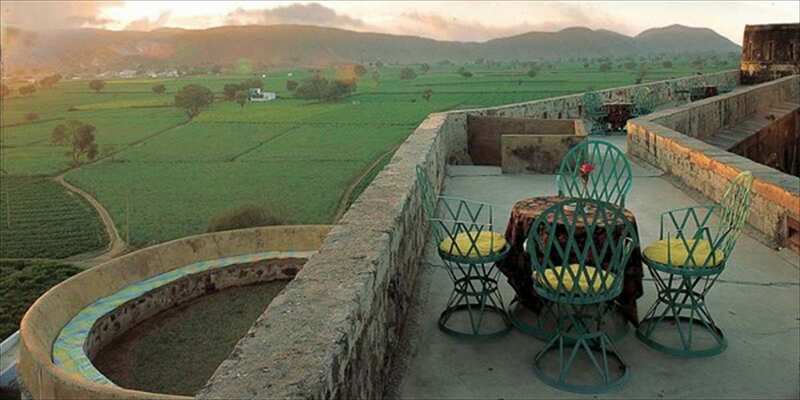 The resort follows eco-friendly practices like drip irrigation, organic farming, and solar energy. It’s a perfect place for those who want to spend a vacation amidst the stars, the desert, and the wildlife. 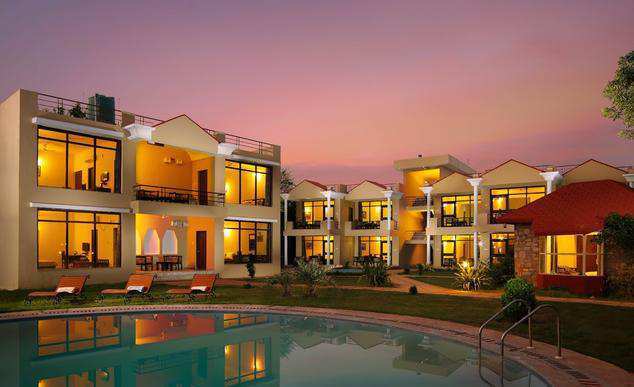 Located far away from the city life between the Aravalli Hills and Sariska National Park, Astroport is first-of-its-kind astronomy resort in India which is fully equipped with cameras, binoculars, and telescopes. 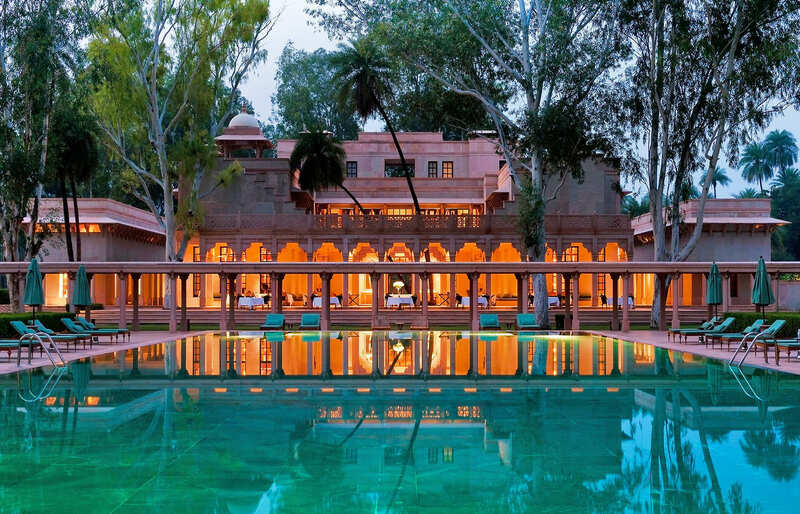 The must-see tourist attractions near the resort are – Sariska National Park (4.8 kms), Mansarovar Lake (7.5 kms), Tehla Fort (8.5 kms), Pandupol Temple (24.0 kms), Bhangarh Fort (33.0 kms), Jaisamand Lake (56 kms), Bala Qila (73.0 kms), City Palace (65.0 kms), Moosi Maharani ki Chhatri (65.0 kms), and Mangalsar Dam (7.5 kms). Fun Activities like Horse Riding, Camel Safari, etc. Galaxia – These royal family Swiss tents can accommodate 4 adults or a small family. They have Studio Apartment style layout and come with 2 king-size beds, foyer and attached toilets. Nebulae – These comfy and chic Swiss tent cottages can house a large family or 8 adults. They feature 8 queen-size beds, foyer and attached toilets. Comet – These pitch able tents are perfect for amateur astronomers and wild life lovers. They can accommodate up to 3 adults. Refresh your mind by playing games tennis and basketball or by indulging in skating and cycling. Enjoy fun activities such as horse riding, village tours, jungle safari, rock climbing, pottery making, camel safari, and organic farm tours. Rewind yourself by swimming in the pool. Take a stroll in the lush green lawns and behold the enticing beauty of nature. If you are adventurous, the resort has several thrilling activities for you like zip line, ATV bikes, double rope bridge, tyre net, hop scotch, etc. Indulge in educational activities and learn various aspects of universe, space communication, space science, and astronomy. The food is served in the spacious dining hall which is surrounded by open and natural areas. The food is prepared using fresh and organic ingredients that impart authentic taste. By Air – Jaipur International Airport is the closest airport at 118 kms with frequent flights on major domestic and international routes. The other nearest airport is Indira Gandhi International Airport (New Delhi) at 201 kms. By Rail – Alwar Railway Station has well connectivity to all major cities like Udaipur, Jaipur, Delhi, etc. Astroport is 62 kms from the railway station. Take a cab to reach your destination. 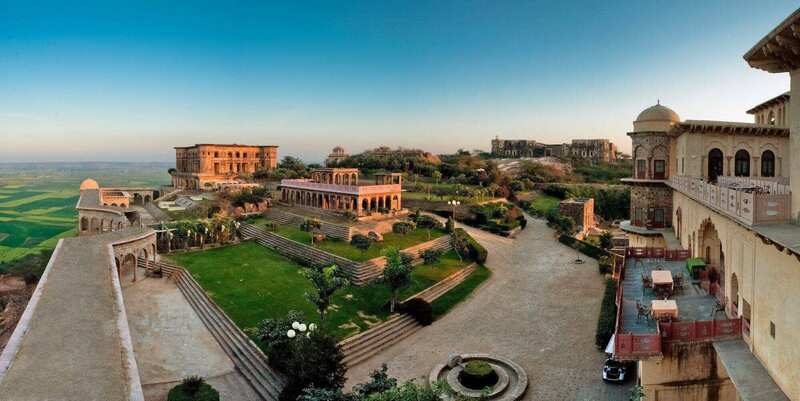 By Road – Alwar is located on NH-8, one of the best highways in country and a part of golden quadrilateral. Alwar Bus Stand, which is 59 kms from Astroport, has regular buses plying for major cities like Delhi, Jaipur, Udaipur, Ahmedabad, etc. Take cab from the bus stand to reach the resort.